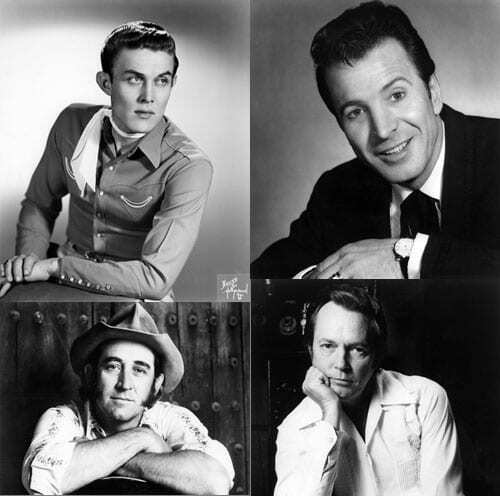 The Country Music Association announced today that Jimmy Dean, Ferlin Husky, Billy Sherrill, and Don Williams will become the newest members of the coveted Country Music Hall of Fame. Due to a tie in the voting, both Dean and Husky will be inducted in the “Veterans Era Artist” category. Williams will be inducted in the “Modern Era Artist” category. Sherrill will be inducted in the “Non-Performer” category, which is awarded every third year in a rotation with the “Recording and/or Touring Musician” and “Songwriter” categories. Dean, Husky, Sherrill, and Williams will increase membership in the Country Music Hall of Fame from 108 to 112 inductees. Induction ceremonies for Dean, Husky, Sherrill and Williams will take place at the Country Music Hall of Fame and Museum later this year. Since 2007, the Museum’s Medallion Ceremony, an annual reunion of the Hall of Fame membership, has served as the official rite of induction for new members. “Anything I have ever accomplished would have been totally impossible without the help and support of the greatest songwriters and musicians in the world, and of course what I stole from Owen Bradley,” said Sherrill. For more information on the inductees and the election process click here.